Submit your questions and topics for the candidate forum soon! 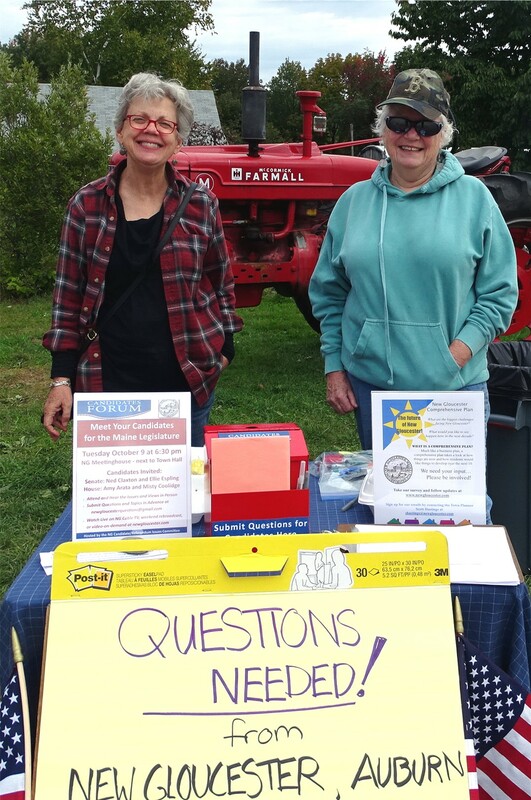 Debra Smith, left, and Penny Hilton who are members of the Candidate and Referendum Issues Committee set up a table at Thompson’s Orchard on Sept. 30. They are still seeking questions and/or discussion topics from the public for the Oct. 9th legislative candidates forums. Please submit questions and/or discussion topics by Wednesday, Oct. 3 at 10 am by email at newgloucesterquestions@gmail.com. The action had been tabled until the October 1st Board Meeting pending a request to MMA about the procedure the Board needs to take to put the question on the ballot at the next regular election in June 2019. The Sept. 29 post is correct in stating that the Oct. 1st board meeting was cancelled. A key House Republican and former family physician-turned Democratic candidate are competing for the open District 20 Senate seat this fall. Voters in Auburn, Mechanic Falls, Minot, New Gloucester and Poland will choose between Rep. Ellie Espling, R-New Gloucester, and Democrat Ned Claxton of Auburn on Nov. 6 when they elect a new state senator. Only one of the candidates for House District 65 says she is related to a former U.S. President, but the two women squaring off this November have at least one thing in common: their birthday. That’s not where the similarities end with Republican Amy Arata and Democrat Misty Coolidge, both of New Gloucester. They both own small businesses, both are originally from central Maine, both are married with three children, and both joke about being mistaken for one another by voters. 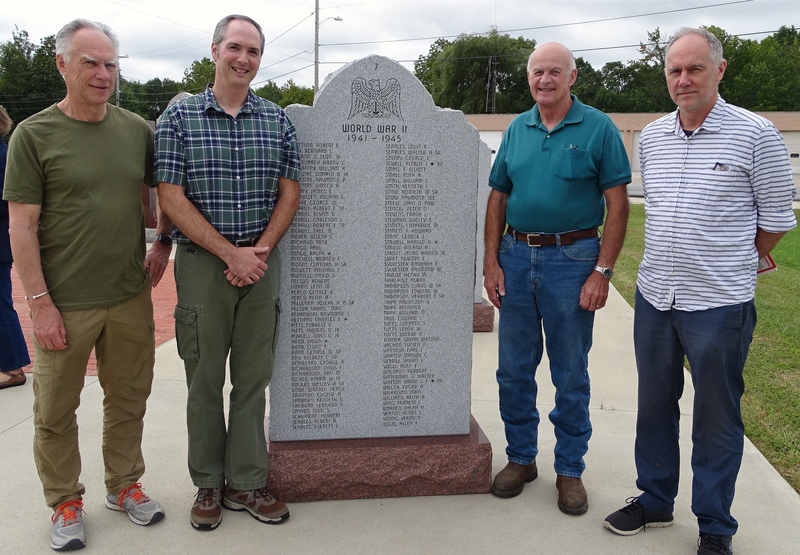 There are around 70 towns and cities in Maine governed by town charters, according to John Salisbury of the Sabbathday Lake area of New Gloucester. New Gloucester to date is not one of them, but maybe it should be – so let’s ask the voters. That was the thrust of Salisbury’s comments at the microphone during the Audience Participation segment of the August 20 New Gloucester Selectmens’ Meeting. But First, an old issue – Who really did what?